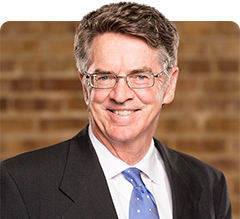 Attorney David P. Rankin has more than 30 years of experience handling disciplinary matters regarding licensed professionals and businesses in Florida. Below is an overview of the administrative process when a complaint is filed, along with an explanation of how a Tampa administrative process lawyer can help. Below are the procedures commonly followed by the State investigator agencies (Department of Professional Regulation/DBPR, Department of Health, Agency for Health Care Administration and Florida Engineers Management Corporation. A complaint may come from an individual (whom you may or may not have had direct contact or dealings), or it may come from an insurance company, government agency, or through a routine statutory reporting requirement. Once a complaint is filed, it is analyzed by a Complaint Analyst in the DBPR Legal Department. This person may be a law clerk or paralegal, but is usually not a licensed attorney. The next step is for a field investigation to be conducted by the appropriate investigative agency. The investigator will be someone with practical experience investigating complaints in your particular license area. It is likely at this point that you will not even know that a complaint has been filed against you or that a preliminary investigation is being conducted. The opening of a formal investigation is triggered by your receipt of a letter from DBPR, notifying you that a complaint has been filed. This notice should identify the substance of the complaint, citing the applicable statute or administrative code provision, and also identifying the complainant. The investigative process typically involves interviews with the complainant and witnesses, obtaining records and documents, and possibly an interview with you, if you allow yourself to be interviewed by the investigator. As a licensee being investigated, you have a right not to be interviewed. When the investigation is completed, a report will be drafted and sent to the agency where it is reviewed by staff attorneys who are experienced prosecuting cases involving your type of license. Upon review, the prosecutor will either recommend a proposed letter of closure or recommend the filing of an Administrative Complaint. This recommendation is forwarded to a probable cause panel for review. The probable cause panel is typically two or three members of the board, agency or commission responsible for regulating your license. This panel will vote to either prosecute or close your case. If the panel votes to close, this means they found no probable cause for further action, and they will direct the agency to issue a letter of closure. If the vote is to prosecute, the panel directs the prosecuting attorney to file the proposed Administrative Complaint, or the panel may specify what charges should be brought, if different from what is contained in the complaint. A third alternative is that the panel may issue a Letter of Guidance, stating that probable cause exists but the agency, board or commissioner has decided not to prosecute the case. This letter may contain an admonishment, but its purpose is to aid you in compliance in the future. The letter, by its own terms, is not to be considered disciplinary action. If the decision is to prosecute, a copy of the complaint will be mailed to you along with an election of rights form. On this form, you can dispute the allegation against you and request a formal hearing. Our office can prepare this request for you, and we may prepare a custom form as an alternative to the standard election of rights form. Although a stipulated settlement can occur at any point during the process, requesting a hearing is the best way to preserve your rights and defend yourself fully. The request for hearing is referred to the Division of Administrative Hearings (DOAH), which assigns an Administrative Law Judge (ALJ) to hear your case. A phase of pre-trial discovery then begins, where your attorney will build your case based on written questions, requests for documents, depositions of witnesses and other tools of discovery. An administrative hearing is very much like a civil, non-jury trial. There will be testimony and exhibits presented, including possibly expert testimony, and legal arguments made to the ALJ by the attorneys for both sides. One difference from a trial is that the ALJ only makes a recommendation, as opposed to a judge who makes a binding ruling. After the conclusion of the trial, both sides will submit a proposed recommendation order to the ALJ. This lengthy document will contain suggested findings of fact, conclusions of law and a disposition of the case for the ALJ to consider. The ALJ will then prepare findings of fact, conclusions of law and a recommended disposition of the case, and submit this order to the Board or Commission in charge of your licensing area. You have the right to file exceptions to the ALJ order and have them considered by the Board, agency or commission. If your matter was resolved by stipulation with the DBPR without a hearing, this stipulation will go before the Board, which can approve or deny or recommend an alternative resolution. If the stipulation is denied, your case is returned for a formal hearing before an ALJ. After a hearing, the Board will consider the ALJ recommendation. You can appear at this meeting and argue for or against the ALJ order; the Board is empowered to impose more lenient or more stringent sanctions than the ALJ recommended. Whatever the Board, agency or commission decides is the final disposition of your case, which is reduced to writing and filed. There may be limited opportunities to appeal, but these are limited to correct an error you believe was made in the ALJ hearing or disposition by the Board. You have the right to remain silent and decline to be interviewed during an investigation. Often, an interview is more about getting evidence to use against you than about gathering the actual facts. In some instances, you may also have the right to decline to respond to a subpoena for production of records, although some records are required to be kept and are subject to inspection. We can help you determine how to respond when asked to submit to an interview or subpoenaed for the production of records. In the initial stages, a complaint is confidential until ten days after probable cause has been found by the Probably Cause Panel, unless you waive confidentiality. There are pros and cons to waiving confidentiality in a given situation. We can help you determine whether confidentiality should be returned or waived. While the investigative agency is conducting its investigation, we will conduct our own independent investigation, including an analysis of the applicable facts and law. We will work with you to help you put your best foot forward when submitting any documents or information. We also prepare an information packet with a cover letter outlining the merits of your position and why your case should be closed with a finding of no probable cause. Our goal is to achieve a letter of closure at the investigatory phase, or reduce the number of counts in the Administrative Complaint or lessen the severity of any charges brought. Of course, we represent you at the ALJ hearing and also appear at the Board, Commission or agency hearing to argue for a stipulation agreement or a particular disposition following a hearing. These are just some of the ways we can help you through the administrative process. With your license on the line, trust an attorney with decades of experience to help you get the best result possible at the earliest possible stage. In Florida, contact the Law Offices of David P. Rankin at 813-968-6633 for a free consultation regarding any license disciplinary proceeding with a Tampa administrative process lawyer.